What are The Division 2 Hunter masks and how do you get all 12 of them? As with any looter shooter worth its salt, it’s important to look good in The Division 2, and a series of 12 secret Hunter masks are the ideal addition to any squads outfits, particularly when it comes to marauding around as a Rogue Agent in the Dark Zone. Following the quests steps to get these The Division 2 Hunter masks can be pretty difficult, and taking down the Hunters themselves will involve plenty of teamwork and coordination as they behave much more like other players and AI enemies, and can even use skills like The Division Agents. These Hunter masks haven’t taken the community hive mind particularly long to track down, but some of the quest steps are still a little unclear. However, with all 12 masks now located, we can break down how to get each one for you. Hunter masks are cosmetics only, and will cover the entire face of your character, plus obscuring any hats you may have equipped, so while they look great it’s worth bearing mind that you’ll have to pick between headgear and the mask. Also, a lot of the masks can only be found or triggered during the night time, from 19:00 onward. You can check the time by heading into photo mode. Take the Washington Monument Control Point first as you’ll need access to the loot room. Wait until it’s dark then head down the elevator shaft and into the loot room. Inside there is a statue with a s screen and button, press that and you’ll see three graves on the map. You’ll have to go to each one and salute there in order to summon the Hunters. The first grave is in West Potomac Park, at the bottom right corner of the Flooded Levee Control Point. You’ll spot a grave near some shipping containers with a wooden cross, salute there and you’ll know you’ve done it correctly when your UI goes a little bit fuzzy. The second point you’ll need to head north-east of the Washington Monument, directly between the monument and the where the map reads 15th St NW. Salute hear until you get the static effect. Finally, you’ll need to head south-west of the monument, facing the monument you’ll see the grave between some foliage – salute once more. 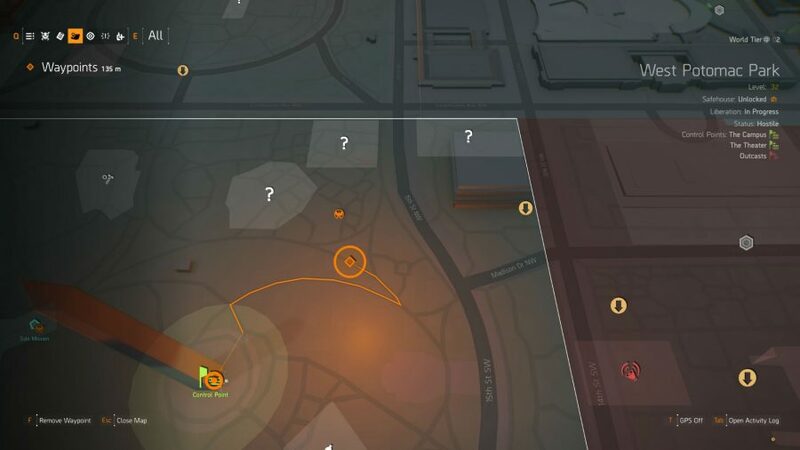 Return to the Washington Monument, interact with the button and an orange circle appears on the screen. The next part involves heading north-west of the monument until you’re near to the border of West Potomac Park, specifically looking for the enclosed area with a missing persons sign on the gate. Inside you’ll spot a Hunter on shipping container near a crane to the top right as you enter. You get one chance to kill this Hunter, or else you’ll have to log out a bunch of times to trigger the event again. To one-hit them you’ll want the Sharpshooter Specialization equipped with a build fully centered on dealing headshot damage plus some damage buffs from allies via the Booster Hive skill. This mask is a the follow-up to the Ghost mask, so you’ll want to head to a small building north-west of the monument, but approaching from the monument side so as not to spook the Hunter off. Keep your distance, but the process for this is the same as for the Ghost – one-hit kill from afar. The Spectre will not spawn if there are enemies nearby. If you fail the one-hit kill then this Hunter will spawn in a few other places, namely rooftops of small buildings surrounding the monument. Make use of the night time and keep cycling through these locations to find the Hunter. Head to the shallow swimming pool at night, perform Jumping Jacks in the water, and kill the two Hunters as they spawn to get the Midas and Revenant masks. At this point there should be an SHD Tech Cache marked on the map. If you head over to it and down into the sewer, you’ll soon find yourself in a Division Agent hideout. 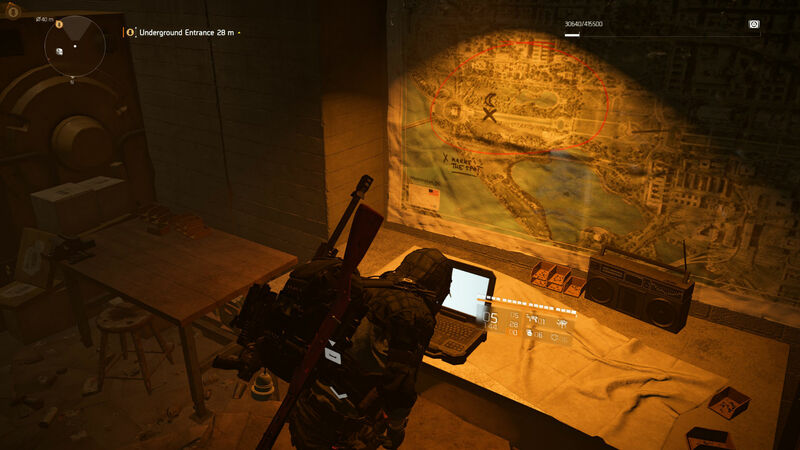 Interact with a laptop in the room and a light bulb will turn on revealing some marking on the map, which is where you’ll find the Ghoul mask. Head here (east of the Lincoln Memorial) at night and shoot the flickering light bulb in a watchtower to spawn the Hunter. Head to a memorial wall with names of fallen soldiers on it. There is a light shining on the names, which you need to shoot. After that, jump out of the water, face the wall, and salute once – this will spawn the Wraith hunter. In the courtyard you’ll find two open doors and a mirror nearby. Go through the doors, interact with a computer on the desk, and then run to the opposite side of the courtyard through another pair of open doors. Here there is a phone you can interact with, do that and you’ll spawn the Hunter. Head into the park with the Christmas tree in it at night time, then head up to a nearby gift shop and interact with the lever behind the counter. Go to the middle and run around the Christmas tree a few times and you’ll spawn a terrifying three Hunters. This is a tough fight you’ll want some pals for. 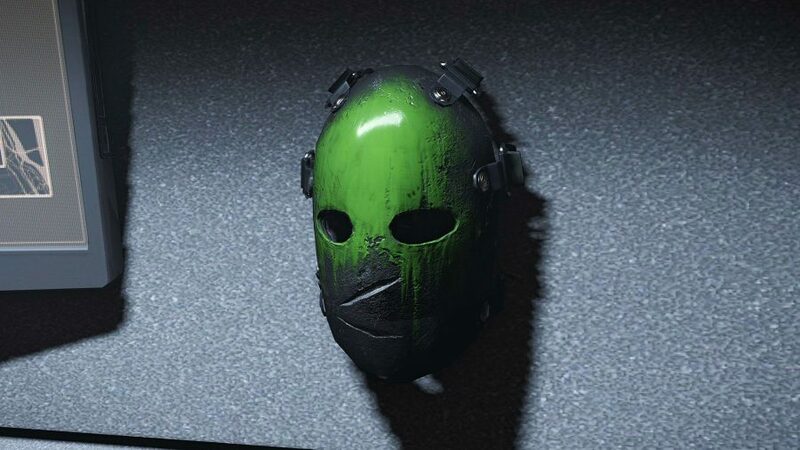 Arekkz, YouTuber and font of knowledge for all things The Division 2, reports that this mask and Hunter appear to be attached to the three above. If you leave the park during the fight and head east you’ll spawn in the Phantom as well. The exact conditions for spawning Phantom are still a bit murky. You’ll need to head down some elevators and into a glass atrium in order to find the start of this mask’s quest. Once there, head up to a grassy platform and look towards a series of windows above. You’ll spot some shooting targets, shoot from high to low, and when you shoot the fourth one you’ll spawn the Demon Hunter. This one can be done in the daytime as well. And there you have it. How to get all 12 The Division 2 Hunter masks. These look great when you’re out in the Dark Zone preying on hapless Division Agents, especially when every member of your squad also has one.